We just sold this amazing infill in the heart of Bowness. If you didn't buy it, you sure missed out on a dream garage... But the good news is, that if you or anyone you know is looking for a beautiful home, just like this one, you know a great Realtor to call! - Tamara Nellissen 403-477-5120 and she will hook you up! 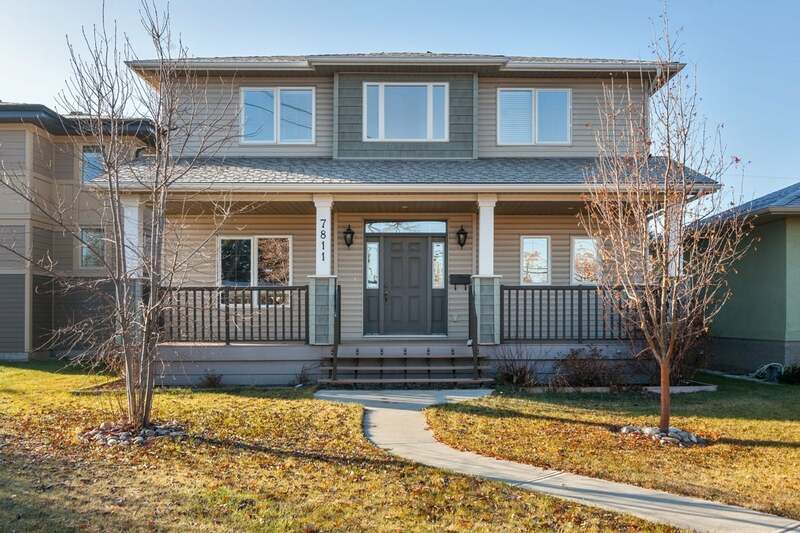 Welcome to this custom built home in the heart of Bowness. The spacious front entry welcomes you with easy to clean tile flooring, a good size closet and a half bath. The main floor showcases beautiful hand scraped hardwood flooring throughout. In the kitchen, you will find an eat up island, expansive cabinetry, granite counters and stainless steel appliances. On this floor, you will notice how the kitchen looks out to the yard and is open to the large living room and a generously sized dining room. Here you will also find a large main floor laundry room, which is self-contained with built-in cabinets and a sink. Upstairs has 3 good sized bedrooms and 2 full bathrooms. The master suite includes a full walk in closet, an awesome full bathroom with stand alone shower, soaker tub and double sinks. This house is complete with an oversized double detached garage that features a fantastic workshop space… yes, it is 31x24 with three man doors, truly a handy man's dream!